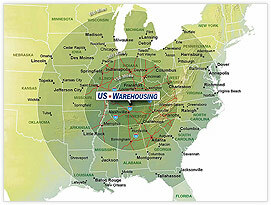 US Warehousing owns and operates over 1 million square feet of multiple public and contract warehousing facilities in and around the Central/Southern Kentucky area. Our main location is strategically located in Bowling Green, Kentucky and is within 500 miles of nearly 75% of all US manufacturing activity and general population. 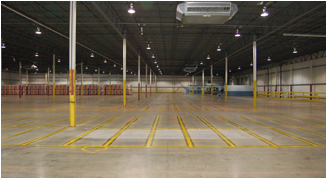 Our warehouses offer security/fire protection, rail service (both indoor and outdoor spurs available), American Institute of Banking (AIB) Certified, truck and trailer parking and ceiling heights to 30 feet. Copyright ©, US Warehousing. All rights reserved.